The Hamilton Volunteer Fire Department has been serving since 1944. We are honored to protect the Town of Hamilton, the Villages of Waterford and Paeonian Springs, as well as the unincorporated community of Mount Gilead. We are comprised of more than 40 members, 28 of which are active weekly. The 2017 Chili Cook-off is Here! Who makes the best chili in the county? You can decide! 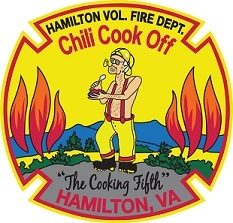 Come join us for the annual Chili Cook-off. Fire Prevention Week Kick off! Fire prevention week starts on October 4th. Check out the links below for important fire safety tools and resources.